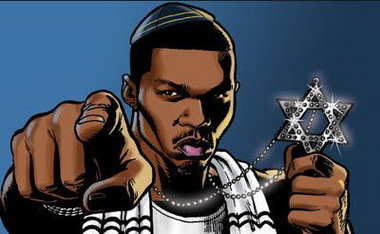 The Black Hebrew Israelite movement has dozens of chapters across the country and is known for its anti-white sentiments. They are very vocal on YouTube, and when we run into them out soul-winning, they tend to be hostile. No better than the KKK, Black Hebrew Israelites hate certain people because of the color of their skin. They claim white people are Edomites, but what does the Bible say about hating Edomites? They interpret that to mean that Jesus has wooly hair, so he’s a black man. The verse does not say his hair is like wool or wooly. It is saying his hair and his head are white like wool. I believe this is due in part to the fact that Jesus is glowing, but it is ridiculous to try to use a verse that says he is white to prove he is black. They'll also use a verse about people's skin being blackened because they are suffering from starvation to try to prove that the children of Israel were black. No skin color is better than another, but saying that Jesus was black makes about as much sense as saying he was Chinese. If I had to guess, I’d say that Jesus probably had light brown skin while he was here on this earth based on his nationality and the fact that he was born in the Middle East. We can see from reading the Levitical law on leprosy that black hair was the norm for the children of Israel, but there’s a verse in Jeremiah where he talks about the Ethiopian’s skin, so it was obviously noticeably different than the skin of Jeremiah and the people to whom he was speaking. Anybody who is following the Black Hebrew Israelites is not very smart. You don’t see educated black people joining the Black Hebrew Israelites. This group is nothing more than a gang of ghetto thugs who want to take their preconceived racist ideas and try to fit them into the Bible. They are wrong on salvation, and their primary focus is race. They are so prideful about their skin color that they refuse to worship God unless he looks just like them. We don’t know exactly what Jesus looks like, but he was not born in Sub-Saharan Africa. Not only that, but trying to elevate one ethnicity above another is unbiblical because the Bible says to avoid genealogies. Hopefully this post will give you a few answers for these Black Hebrew Israelites who are just trying to glory in their flesh. Whether someone is extremely black, extremely white, or somewhere in between, they can become grafted into the family because God is not a respecter of persons. Here is a sermon from Brother Tyler Baker on the Black Hebrew Israelites. Book of Samuel. David is described as "ruddy" in complexion. David is Jesus' ancestor, right? But there is just as much argument over what ruddy means. In Revelation, Jesus' feet are described as brass or bronze. Sounds to me like well tanned. Like Ricardo Montalban or Lorenzo Lamas maybe. Here's one I did earlier @ Anonymous. Take this quote from Apartheid South Africa, where the regime was influenced by Atheistic Evolution but claimed Christianity via its wicked allegiance with the NG Kerk (aka Dutch Reformed Church). You see, if they could prove Jesus was white, it makes the further implementation of Apartheid a lot easier! Well there you have it folks, solid proof that Jesus was white! Well, no. Let’s return to Scripture. 1 Samuel 17:42: And when the Philistine looked about, and saw David, he disdained him: for he was but a youth, and ruddy, and of a fair countenance. 2 Samuel 14:27 - And unto Absalom there were born three sons, and one daughter, whose name was Tamar: she was a woman of a fair countenance. Well, hold on a moment. The logic used here is that the physical manifestation of Jesus was a descendent of David; and since David and his offspring were “ruddy” and of a “fair countenance”, this means He was white. Well, there are some problems with this thinking. 1 Samuel 16:12 - And he sent, and brought him in. Now he was ruddy, and withal of a beautiful countenance, and goodly to look to. And the LORD said, Arise, anoint him: for this is he. So, “fair” and “beautiful” are used interchangeably. It doesn’t refer to skin colour. Then the word “ruddy”, which he also used as evidence for David (and thus Jesus too) being white. He is using it in the context that it can refer to pink, rosy skin – well there you go, Jesus was a white man! Well, no. The word’s origin is from the Middle English word for “red”. It can also describe one’s skin being red from being outside a lot (newsflash, not only white people can get sunburn!) as well as red from being healthy (do people of darker colour never blush?). Besides, how many centuries before the first coming of Christ did David and his offspring live? Who’s to say there was no interracial marriage in all those centuries? And there are other ways of Scriptures using colour to describe something. Like, the word “white” can describe white hair (i.e. an old person), or refer to one’s pureness, think of virginity. See for example Song of Solomon 5:10 or Lamentations 4:7. Neither necessarily refer to skin colour! Nor does “ruddy” always refer to one’s physical appearance, but can also refer to passion or anger (like, when you’re fired up you can go a bit red with rage). Song of Solomon 5:10 - My beloved is white and ruddy, the chiefest among ten thousand. Folks, there is no evidence that Jesus Christ had a lily-white skin, or was black, or coloured – we simply don’t know and it really doesn’t matter! Jesus is Lord regardless! "Jesus was white" leads to all sorts of energy sapping debates. The Black Hoteps are also misguided. Who knows what Jesus looked like back then? I've seen black people with hair "white as wool" and white people with hair as "black as sackcloth). We don't know what Jesus in Genesis, Joshua and the Gospels looked like exactly. But we definitely know what he looks like now in his glorified body. And his bronze legs are definitely not African. They are kind of pathetic. When they start going on about "king James was black". "The Egyptians were all black" "Statue of Liberty is a black woman" "people are killing blacks to harvest "melanin" which whites are using medicinally". It's all a big conspiracy of everyone to keep the truth away from them. And they're agressive and rude. Embarrassing. Why would God's chosen act like that?